Iron Sharpens Iron: A Summer Benefit Concert in Rancho Cucamonga, Ca. | July 29th, 2017 - TheUrbanMusicScene.com | Concerts & Festivals! 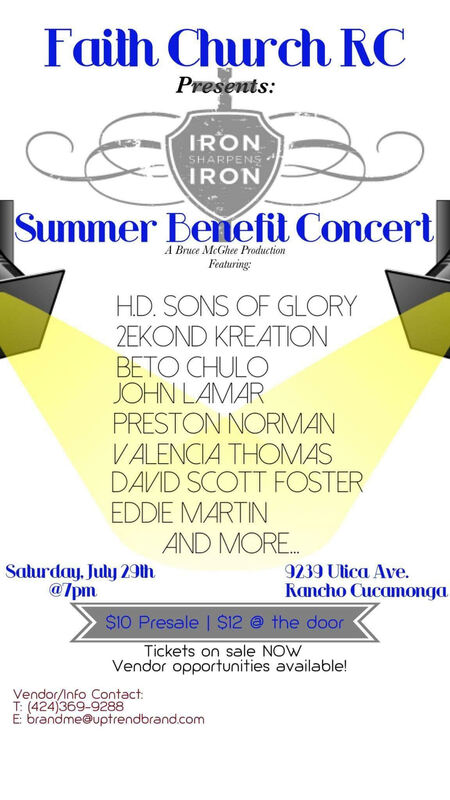 (Rancho Cucamonga, CA) – Some of the Inland Empire’s biggest names in Gospel, Jazz, and R&B perform at Iron Sharpens Iron: A Summer Benefit Concert, happening at Faith Church RC, 9239 Utica Rd., Saturday, July 29. Showtime: 7pm. Tickets: $10 (Pre-Sale), $12. (Door). Info: (760) 221-5520 or https://www.faithchurchlasvegas.com/. Vendor/Info: (424) 369-9288 or brandme@uptrenbrand.com. A Bruce McGhee Production. At press time musical acts scheduled to perform include (High Desert) Sons of Glory; Bruce McGhee and 2ekond Kreation; Beto Chulo; John Lamar; Preston Norman, Valencia Thomas; David Scott Foster; and Eddie Martin. 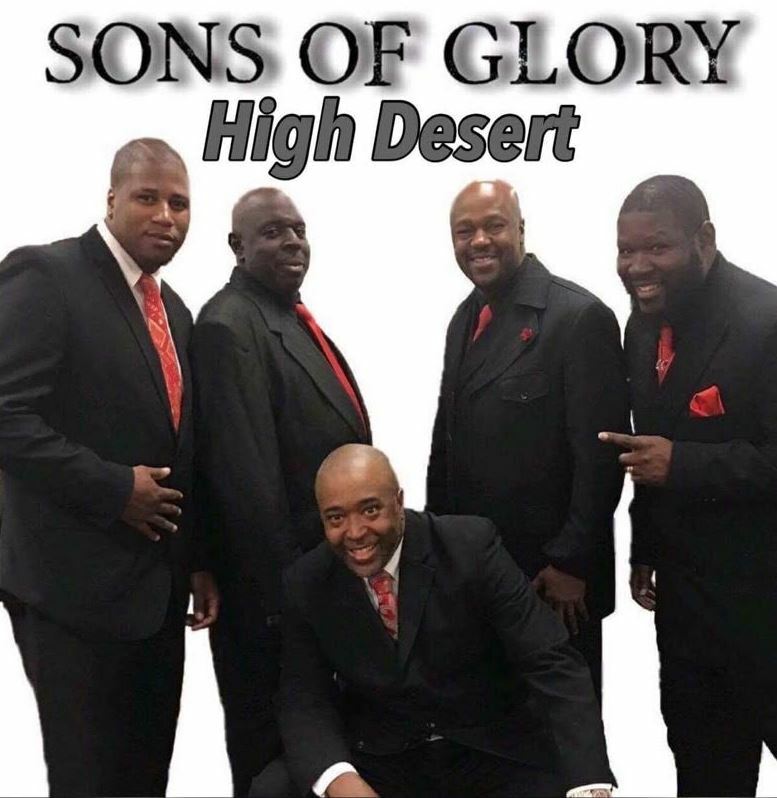 High Desert Gospel act Sons of Glory (pictured) headline the Iron Sharpens Iron: Summer Benefit Concert at Faith Church FC, on Saturday, July 29. 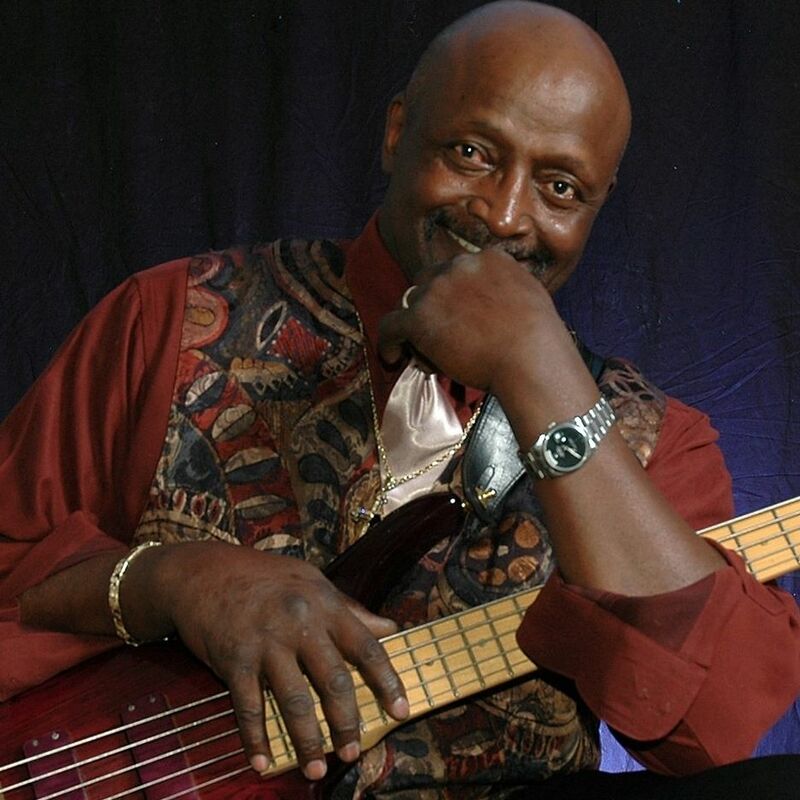 Bruce McGhee (pictured) and his group, 2ekond Kreation, are on the bill at Summer Benefit concert in Rancho Cucamonga Saturday, July 29. McGhee is also producing the Gospel/Jazz/R&B-flavored event.